The ancient Indian practice of yoga has taken the western world by storm. Yoga is not new to controversy and exists in many forms and styles. In light of this, we are passionate to keep the fire burning by sharing some objective facts, and guides on yoga practices. The broad range of topics shared here reflect one crucial thing; yoga is for everyone. Have you ever thought about trying yoga, but never felt convinced it was for you? Or are you looking for a practice that will help you improve your mental and physical health? So, if you’ve been nodding your head to these questions, you’re certainly at the right place. It is worth noting that what we share on this platform is informed by fundamental yogic principles. Yoga employs a vast collection of techniques and practices aimed at integrating the body, mind, and spirit. Incorporating these three elements is the only way one can get a state of enlightenment or oneness. 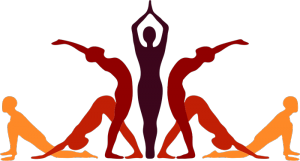 Different paths or styles of yoga use different approaches and techniques. However, all of these methods lead to the same goal, that of enlightenment. Yoga is anchored on one philosophy or principle; that the body and mind are as one, and cannot be separated. This is also known as the philosophy of life and consciousness. Ideally, this philosophy provides guidance on how to understand ourselves and our environment, while still within our awareness. It is a practical philosophy that can only be mastered through daily application. Yoga is known to help the body heal and balance itself naturally. Most yogic practices have specific healing qualities. The poses shared here tend to be more effective when customised. For instance, there are specific yoga poses for women suffering from certain conditions. It is advisable to pay attention to the practices that make you feel better. Also known as the Asana, yoga practices are anchored on specific poses. These poses should be stable to allow for prolonged meditation. Beyond stretching and toning, these poses are meant to help you access key energy channels and psychic centres in your body. If you have never been to a yoga class or practised yoga before, please read our article on yoga styles. Yoga is a relatively new discipline in the western world. As much as you might have an idea of what yoga is, and what it offers, there is always more to this subject than meets the eye. Also, it worth noting that yoga is subjected to plenty of misconceptions, most of which are untrue. In light of this, we endeavour to serve you with factual information about yoga and also provide answers to some FAQs from beginners. We understand that yoga offers far-reaching benefits from an individual’s perspective, right through to corporate circles. Thus, the content shared here is meant to help individuals striving for holistic health, and also employers who care personally about the welfare of their employees. We genuinely hope that you will enjoy and deepen your understanding of yoga practices.